Looks like we were both enjoying nature yesterday:) Love all of those beautiful pictures my friend! Have a blessed Easter Sunday! Hugs from Georgia! I love red wing blackbrds so much! I love their trill, that flash of red on their wings. Down in Southern Ohio in Athens (where I went to med school) there are red wing blackbirds and great blue herons by the hundreds. Drive down Rt. 50, and it's a rare day when you don't see one. I do love birds. I'm definitely going to have to visit there! Love all your photos. I am glad you are feeling better and had a day out in the fresh air. Wow! It looks so beautiful -- I wish I were your neighbor -- I'd love to go there with you. Now...whe IS your list of top ten favorite birds??? How lovely! Sounds like a perfect day. What a beautiful place - and how lucky you had it to yourself! That was a nice treat. Did you read Eat, Love, Pray? I borrowed it from a friend who said she didn't like it. I did; I thought it was very good - interesting and inspiring. 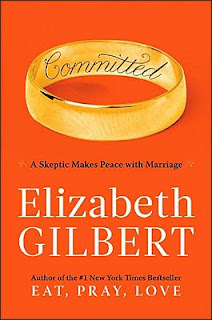 I plan to read Committed too, although the reviews weren't as good. I want to find out how the story 'ends'. ohhh these pictures are breathtaking!! such an amazing place to visit. last summer a neighbour told me i had a heron on my roof, but unfortunately i didn't get to see it and they are rare around here. we get a great many buzzards, they can look quite magnificent in flight. i think one of my favourite birds is the little wren. what a beautiful place and a beautiful post. I agree and wonder why people weren't flocking there. I love gb herons, we have a rookery of them nearby and we are always fascinated to see their tall silhouettes perched high in the trees on the edges of very large nests.